Richard Bannan is a Lay-Clerk of St George’s Chapel, Windsor Castle, Musical Director of Petros Singers and Head of Singing at King’s College School, Wimbledon as well as pursuing a career as a soloist and consort singer. He began singing at an early age as a chorister at St Paul's Cathedral, before reading music at Clare College, Cambridge, where he was a Choral Scholar. Solo repertoire includes the Mozart, Brahms, Verdi, Fauré and Duruflé Requiems, the Bach Passions, both Bach and Saint-Saens' Christmas Oratorios, Charpentier's Te Deum and Vaughan Williams' Five Mystical Songs in addition to mass settings by Mozart, Haydn, Rossini and Puccini. He has sung Handel's Messiah for the Royal Hospital Concert Series - as well as in St Mary’s Cathedral, Perth, Australia - Bach Cantatas at the London Bach Festival, the Monteverdi 1610 Vespers for the Wimbledon International Festival and the Stainer Crucifixion for the Windsor Festival. Under Sir John Eliot Gardiner, Richard has sung as soloist in Schütz’s Musikalische Exequien at the Edinburgh International Festival as well as works by Schumann with the Gustav Mahler Chamber Orchestra and Leipzig Gewandhaus Orchestra. He has performed as a soloist with the Gabrieli Consort under Paul McCreesh, sung Bach and Schütz with David Bates and La Nuova Musica at the Aldebrough Easter Festival and Monteverdi’s 1610 Vespers with the same ensemble at the Wigmore Hall. He has also sung the roles of Judas, Pontifex and Pilatein Bach’s Matthäus-Passionwith Richard Egarr and the Academy of Ancient Music, as well as parts in Carissimi’sJepthe and Purcell’s King Arthur, whilst on stage he has sung the roles of Aeneas in Purcell’s Dido and Aeneas and the title role in Monteverdi’s Orfeo. More recently, he joined the single male voice ensemble Gallicantus, performing and recording Lassus’ Lagrime de San Pietro, whilst in recital he has sung cycles by Mahler (Kindertotenlieder) Brahms (Vier Ernste Gesänge), Vierne (Les Angelus), Cornelius (Weinachtslieder) and Finzi (I Said to Love) as well as shorter works by Beethoven, Schumann and Debussy. During his time at Cambridge, Richard formed his own chamber choir to perform a variety of works such as Parry's Songs of Farewell and Richard Strauss' Der Abend. Since then he has held conducting positions at the Yehudi Menuhin School, where he notably conducted a programme of works by Sir Peter Maxwell Davies in front of the composer, as well as working with the Eton Choral Courses, the Reading Festival Chorus, the Reading Phoenix Choir, the Rodolfus Choir, the Bloxham School Chapel Choir, the chamber choir of the Pilgrim's School, Winchester, the Polish National Youth Choir and the Baroque Week Summer School. He was Musical Director of the Yateley Choral Society from 2012-2016, with whom heconducted performances of the Bach and Chilcott St John Passions, the Brahms, Fauré, Duruflé and Rutter Requiems, mass settings by Haydn, Rossini and Jenkins, as well as the world premiere of Graham Ross’ An Imperial Elegy which was written especially for the society. 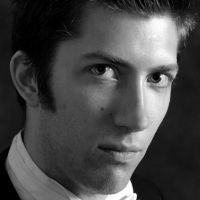 He has since become Musical Director of Petros Singers, with whom he is currently enjoying his inaugural season. In addition, he has directed projects with the Gabrieli Consort, including performances of Handel’s Coronation Anthems at Hampton Court Palace and a madrigal recital at the Dartington International Summer School. Recent solo performances have included Handel’s Dixit Dominus, Orff’s Carmina Burana and Bach Cantatas live on BBC Radio 3 with the AAM. The current season will see Richard sing his first Sea Symphony (Vaughan Williams) alongside performances of Haydn’s Creation, Israel in Egypt (Handel), Ian Assersohn’s new oratorio Dies Irae and directing a performance of Handel’s Belshazzar with Petros Singers.